This is the Tesla Model Y, the electric carmaker’s new compact SUV, which is due out in 2020. 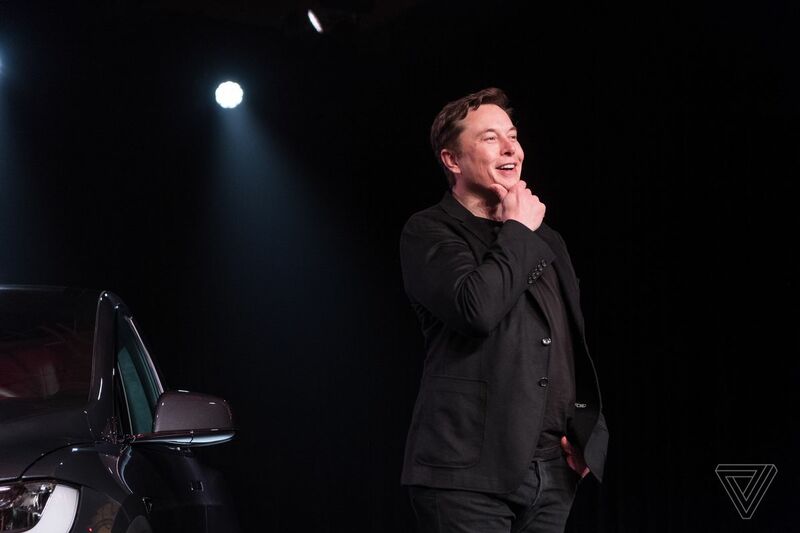 Elon Musk took to the stage at Tesla’s design studio outside Los Angeles Thursday night to the usual rapturous cheering from the automaker’s loyal fanbase. But when he finally unveiled the car — after a trip down memory lane and a recounting of Tesla’s inarguably impressive history — the reaction was slightly less enthusiastic than it was three years prior when the Model 3 sedan was revealed. And that’s because we’ve seen this car before: the Model Y is almost exactly like the Model 3, just a little bigger. The specs weren’t much of a surprise either: the long-range Model Y has a range of 300 miles and seating for seven. A performance version of the vehicle is capable of sprinting from 0 to 60 mph in 3.5 seconds. It’s Musk’s fifth car ever to hit the road, and it’s the company’s second attempt at a mass-market electric vehicle. The $47,000 long-range Model Y will come first in the fall of 2020, and it will have a range of 300 miles, Musk said. Tesla will also sell an all-wheel drive dual-motor version for $51,000 and a performance version for $60,000 — both of which will be available in fall 2020. The cheaper, standard range version with a range of 230 miles won’t be available until 2021, Musk said. It will sell for $39,000. 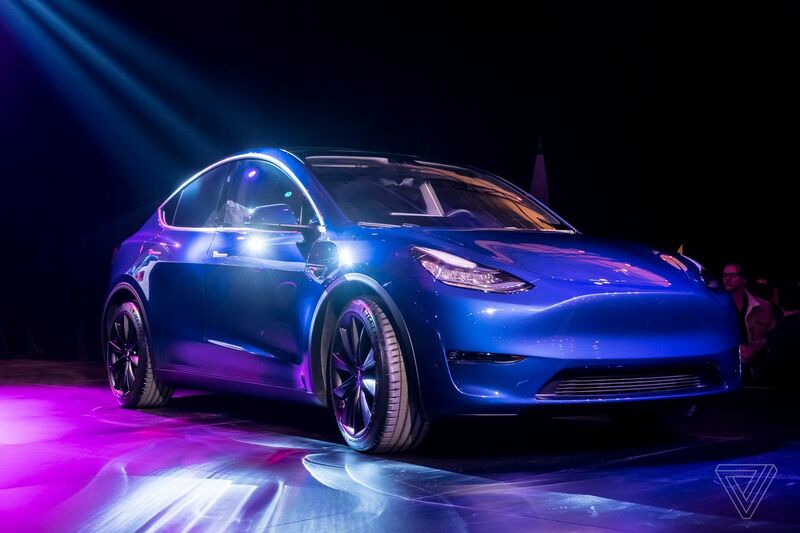 Roomier than a Model 3 but not as imposing as a Model X, the Model Y will eventually seat seven, as demonstrated during the event on Thursday evening when seven black-clad Tesla employees climbed out of the vehicle after driving it on stage. But this is no clown car. The Model Y will be the linchpin to Tesla’s goal of delivering 1 million cars by 2020. Compact SUVs are among the most popular vehicle class in the world. They currently account for about 49 percent of the new car market in the United States, according to JD Power, and more than half of customers who bought a vehicle last year in the $30,000 to $50,000 price range purchased an SUV. The Model Y could help Tesla tap into that wave of demand and vacuum up customer’s reservation payments before production begins. The interior of the vehicle looks similar to the Model 3. A brief glimpse of the interior design revealed the same minimalist look, with a 15-inch touchscreen perched on an otherwise vacant dashboard. The Model Y will have a panoramic sunroof and 66 cubic feet of cargo space. A third row of seating to fit a total of seven passengers won’t be available until 2021, though. 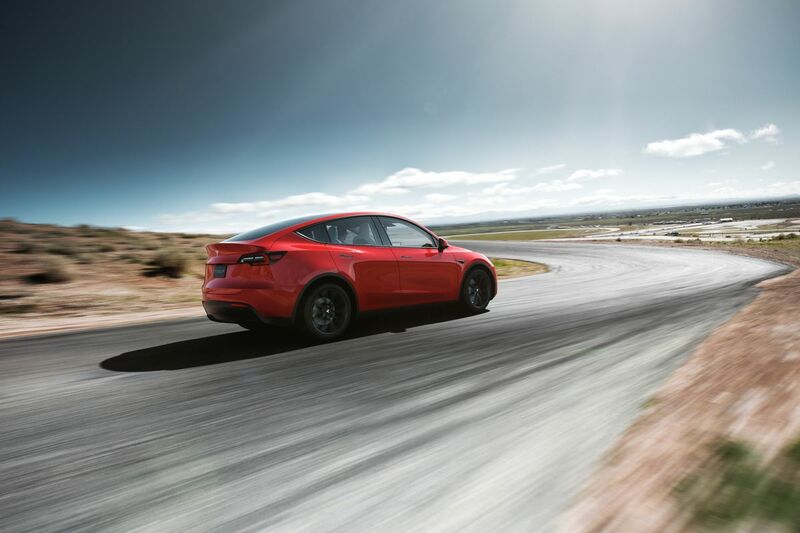 The Model Y was revealed at a crucial time for Tesla. In its first full year of production, the Model 3 sedan became the best-selling EV in the world in 2018 — and that’s just in North America. But Tesla’s drive to make that many Model 3s nearly killed the company, according to Musk. And there has been speculation that Tesla may have exhausted demand for the car in the US, which is why the company turned its attention to Europe and China. Even there, early sales of the Model 3 have been slow. Tesla recently introduced the long-promised $35,000 “standard range” Model 3 as a way to reach more customers, but the release was overshadowed by the company’s decision to close most of its stores and shift to online sales in order to cut operating costs. The move also allowed Tesla to lower prices on its other cars, but after backlash from customers, employees, and even landlords, Tesla decided to halt the store closings (which, in turn, forced the company to raise prices again). Because the Model Y shares so much in common with the Model 3, it should theoretically be less of a drain on the company’s resources. It also represents a huge growth opportunity, as SUV sales are through the roof in the US. Tesla will have to execute well in order to take advantage of that opportunity, according to Jessica Caldwell, the executive director of industry analysis at Edmunds. Competition in the SUV space is fierce, and, essentially, all of the German automakers are already shipping (or about to ship) their own electric SUVs. Exclusive first looks at new tech, reviews, and shows like Better Worlds.